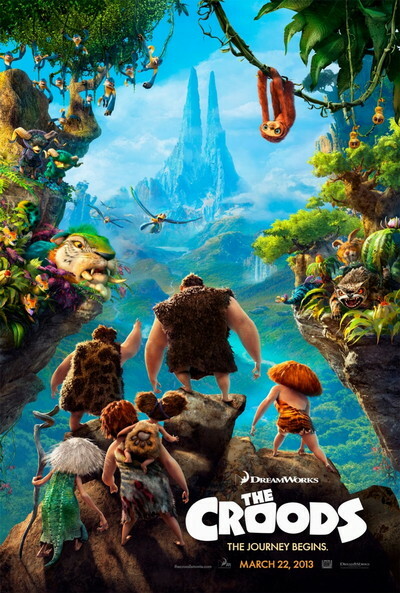 Story: Surviving in a volcanic world is tough enough, but caveman Grug (Cage) gets a rude awakening when an earthquake forces him to leave behind the only world he knows. With his family in tow, he ventures out into the volatile world in search of a new home. The situation becomes even more complicated when Grug's family - but in particular his eldest daughter - become smitten with a nomad (Reynolds) they encounter on their dangerous journey. This quirky, imaginative stranger's search for 'tomorrow' is at odds with Grug's reliance on the traditions of yesterday.